Growing up in Jamaica we had a few castor oil tree or oil nut tree in our yard. My grandmother would have us pick the seeds from the tree and then she would make the castor oil. As small children we were allowed or was privy to the process of making the oil. 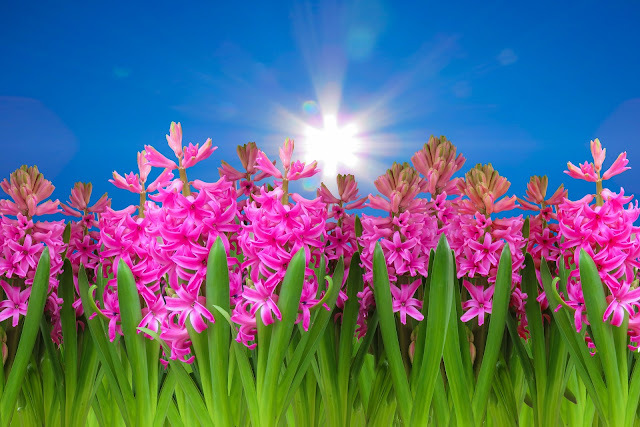 Castor oil was used for medicine, hair oil and skin moisturizer. At the end of summer just before the start of school we had a week long castor oil treatment. We all had a take a teaspoon of castor oil once a day for five days known as wash-out to Jamaicans. This was meant to get rid of any worms or bugs so you won't get sick during the school year. Our scalped was oiled with castor oil to ensure we did not get lice and it was also used as a lotion. Imagine the little country girl going to school in the city with glistening skin, yep that was our life. This is were I developed my aversion of castor oil and vow never to use Jamaican black castor oil. Well some vows are meant to be broken; so this past weekend I was in my beauty supply store and the bottles where eyeing me, so I broke down and bought a bottle. Prepoo- took down my plaits and applied JBCO to small sections from root to tip. Once all my hair was coated with castor I put on a plastic cap and sat under my conditioning cap for an hour. The smell wasn't as bad as I remembered, which is good. My hair felt really soft and the castor oil melted right in. 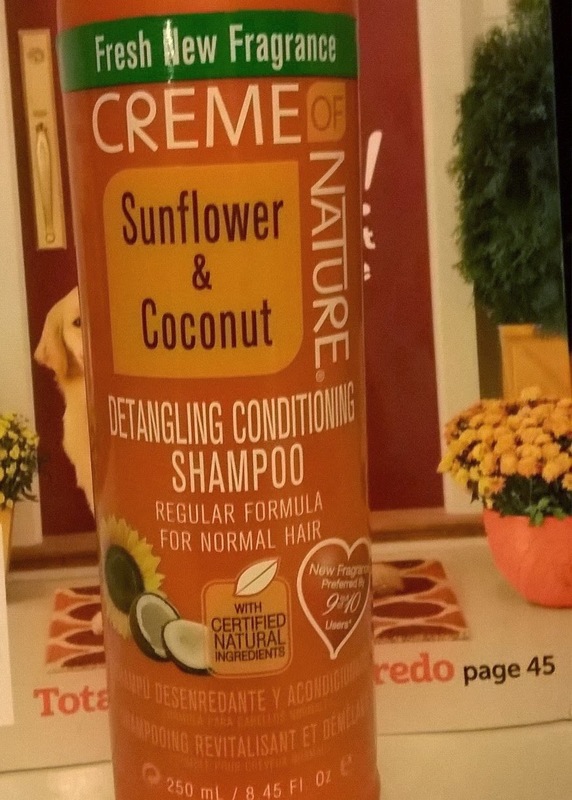 Shampoo- After my hair was cool, I rinsed with warm water then shampooed with Creme of nature sunflower & coconut detangling conditioning shampoo. As usual I only lather once before rinsing with warm water. My scalp needs to be properly cleansed so I have to shampoo, and this shampoo gives me the cleansing I need without making it hard. Deep Conditioner- After t-shirt drying to get rid of the excess water I coated my hair from root to tip with JBCO. After the castor oil treatment I coated my hair with Crecepelo deep conditioner and sat under my conditioning cap for an hour. 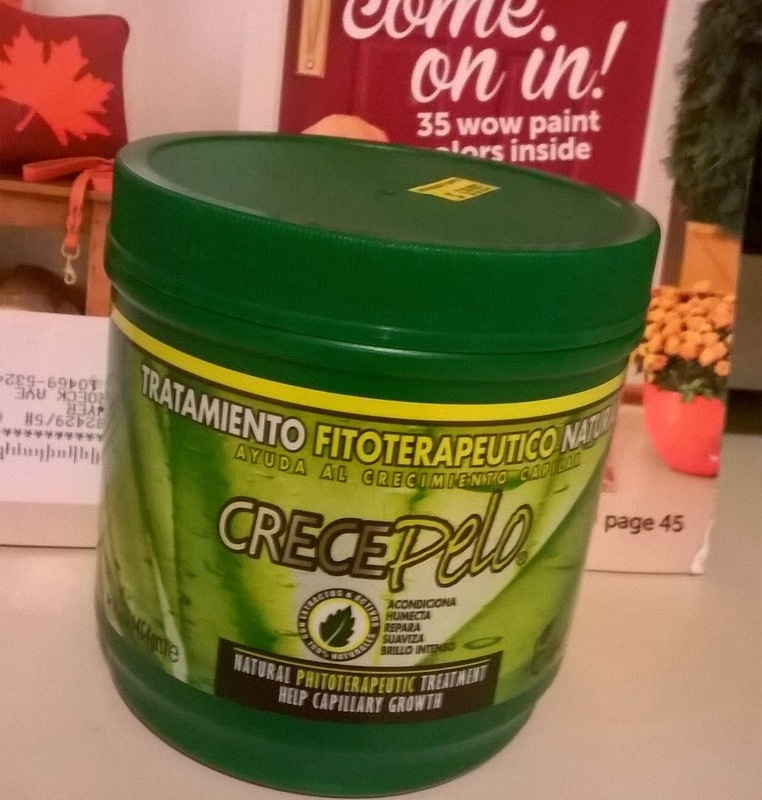 My hair loves Crecepelo and from the prepoo session it may also like castor oil so I didn't think it was a bad idea to combine them. After my hair was cool I rinsed with warm water and finished off with cool water. Well let me tell you my sixteen weeks post relaxer hair felt and look so great that I could not stop running my finger through it. Once I got a hold of my self I cleft the hair to air dry. 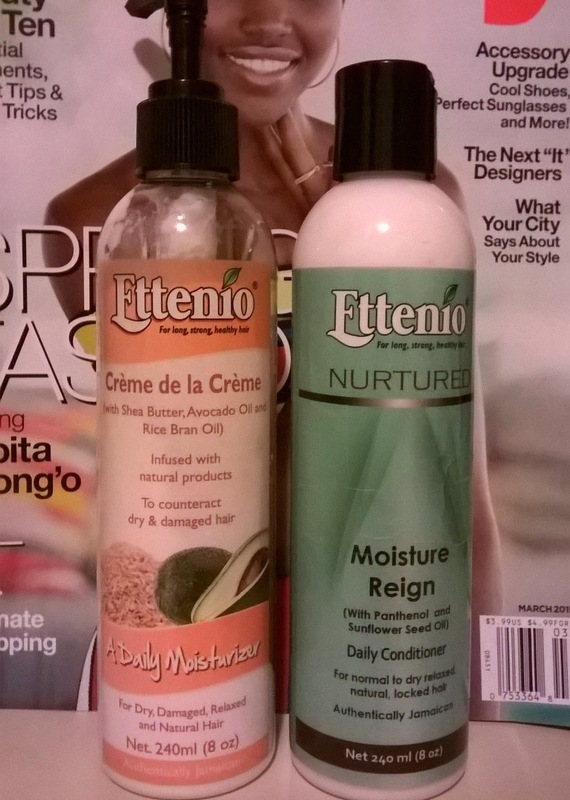 Leave-in and moisturizer- When my hair was about 90 percent dry I applied Ettenio Moisture reign to my hair and let it dry completely. Once it was completely dry I applied a few drops of castor oil along with Ettenio creme de la creme and put my hair in two plaits. 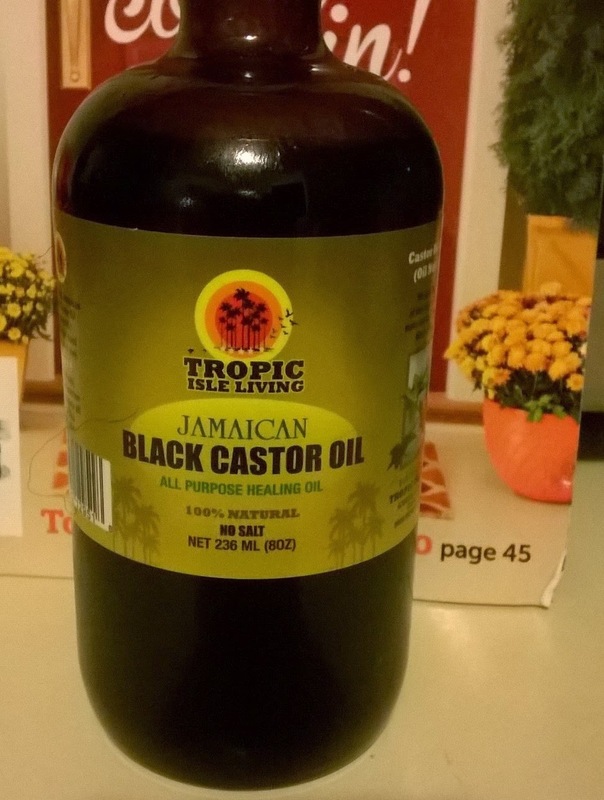 The healthy hair community have been raving about Jamaican Black castor Oil and even though I know the benefits first hand I stayed away from it based on my childhood memories. Now that I have allowed myself to move past the memories, I too will enjoy the wonderful benefits of castor oil. 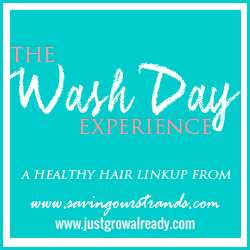 How was your wash day? What if any childhood memories do you have of castor oil? I just bought two bottles. This is the best oil for my hair! That's great Nerline, hopefully my hair will take to it.